Counselling involves a series of one-to-one confidential chats with a trained professional who is experienced in dealing with various life problems. It can be for an individual, or for a couple who are having problems in their relationship. Counselling can help develop the tools that can be used again when confronted with difficulties. These include the ability to name and articulate feelings, to deal with conflict, to keep perspective and to know when to look for a listening ear. Typically, people attend weekly for one-hour sessions, and average attendance is 5-8 sessions. Counselling is totally confidential, and the counsellor does not prescribe or change medication. It is “talk therapy”, which relies on our natural ability to heal and grow through the experience of a caring, respectful and attentive interaction with another person. 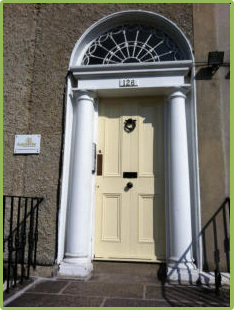 If you want to get in touch to organise a counselling session, please contact: Maeve, Carol, Fidelma, Sonia or Jennifer. Holistic nutrition focuses on a natural approach to a healthy diet and concentrates on treating the mind and body, through the use of diet, supplements and lifestyle. Holistic Nutrition uses various combinations of food and nutrients to help individuals achieve optimal physical, mental and spiritual health. It can be used as a preventative health approach for the average person without any ailments or for healing or symptom management for people living with illness or other medical conditions. What we eat has a direct influence on our health and therefore optimum nutrition is so important to our overall health and wellbeing. If you would like to organise a Holistic Nutrition session, please contact Deirdre. Movement therapy is based upon the premise that the mind and body are deeply connected and influence one another. We have a mind and we live in a body, therefore we can access a bigger picture when we listen to what both have to say. At certain stages in therapy, allowing the flow of simple physical movements can increase awareness, strengthen the body/mind connection, promote lasting healing, reduce stress and support a healthy sense of balance and well-being. If you would like to organise a Movement Therapy session, please contact Carol. Organisational Supervision provides a dedicated space away from the workplace to reflect on your work, with an experienced professional, in a one-to-one setting. It can be an invaluable resource for directors, senior managers and Board members to help develop their skills and knowledge, address conflicts, identify training and development needs, and access personal support. Organisational Supervision meetings are typically one hour long, and occur as regularly as required. Benefits can include enhanced ability to deal with stress, improved workplace relationships, greater clarity about roles and responsibilities, and improved productivity. Discounted rate for member groups of the Disability Federation of Ireland and The Wheel. If you would like to organise an Organisational Supervision session, please contact Maeve. Psychotherapy, like counselling, gives you a safe place to talk about what is on your mind, without being judged. Psychotherapy differs from Counselling in that there are many techniques that can be used to draw out information, to change your perspective on how you see a thing, rather than just seeing it as it is. During a psychotherapy session we work together to help you learn about yourself, what makes you, you. The use of techniques in a session is discussed fully beforehand so that there are no surprises, to allow you to go as deeply into yourself as you feel comfortable to do, in a safe place. If you would like to organise a psychotherapy session, please contact: Maeve, Carol, Fidelma or Sonia. Traditional Thai Massage is an ancient healing art which has its roots in the Indian Ayurvedic medicine system. The client wears comfortable clothes that allow for movement and no oils are used. This unique and highly relaxing massage is based on the concept of energy lines (Sen) running through the body and combines elements of acupressure, yoga, reflexology and ayurveda. The working of these Sen lines breaks blockages, stimulates the free flow of energy and helps to restore general well-being. If you would like to organise a Thai Massage session please contact Marion. Thai Foot and Leg Massage has been established in Thailand for over 2000 years. It is a revitalising massage of the feet and lower legs which opens up the energy (Sen) lines and stimulates the reflex points of the feet. The main benefits are improved blood circulation and detoxification, improved lymphatic drainage, boost of the immune system and stress relief. If you would like to organise a Thai Foot & Leg Massage session please contact Marion. Indian Head Massage is a highly relaxing massage of the upper back, shoulders, neck, head and face. It is based on the ancient system of medicine known as Ayurveda, which has been practised in India for thousands of years. The massage clears your mind, decongests your head and eases muscular tension in the upper back, neck, shoulders and scalp. It improves blood circulation to all these areas including the brain and also stimulates the removal of toxins. The brain receives a rich supply of oxygen which helps to improve your memory and concentration. In India it is believed that regular Indian Head Massage helps to prevent premature baldness and greying! If you would like to organise an Indian Head Massage session please contact Marion. Reiki is a Japanese word and means universal life force energy – the energy which is around us and flows through us and every living being. It is an ancient hands-on healing therapy which addresses body, mind and spirit. The traditional form of Usui Reiki stimulates your own natural abilities to heal physical ailments and raise your awareness of the underlying causes of disease and pain. It promotes deep relaxation, restores emotional balance, detoxifies the body and also strengthens the immune system. If you would like to organise a Reiki session please contact Marion. Reflexology is a particular and highly relaxing foot massage dating back to ancient Egypt, India and China. It is based on the principle that all body structures and organs are mirrored in the feet. Massage of these reflex areas encourages your self-healing ability, it relaxes and helps to maintain your body in a natural state of balance and harmony. Benefits include the release of stress and tension, improved blood circulation and nourishment of all cells, increased elimination of toxins, strengthened immune system, increased vitality and feeling of well-being. For best results a course of 6 -8 treatments is recommended. If you would like to organise a Reflexology session please contact Marion. Rolfing® Structural Integration is a holistic system of soft tissue bodywork and movement education, the objective of which is to integrate human structure and function. It is designed to improve the body’s structure, posture, alignment and movement. Rolfing® is based on the principle that fascia (the connective tissue covering muscles, muscle fibres and organs) stiffens, shortens, and loses its elasticity in response to stress. This can be physical stress such as injury or prolonged poor posture; it can also be mental or emotional stress. Rolfers work to manipulate and release the fascial restrictions in the body that have created patterns of tension and holding. This is achieved by treating the fascia and by guiding the person in body use and sensory perceptiveness. By treating the fascia the structure of the person changes; this can impact the whole person on a physical, mental, emotional and energetic level. If you want to improve your posture, increase your flexibility, and reduce pain in your body, Rolfing® is for you. To schedule a Rolfing session, contact Seamus.